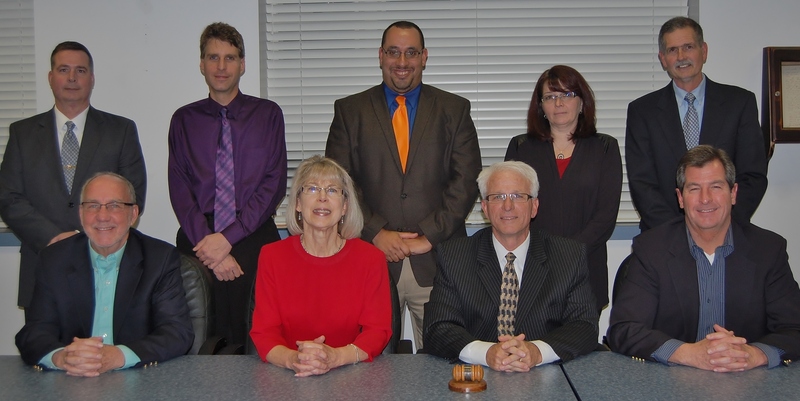 J. Kenneth Long was named president and Carlton Rintz was named vice president of Penn Manor school board during a reorganization meeting Tuesday night. The board also welcomed new member David Paitsel to the nine-member panel. Paitsel was elected in November to a four-year term, replacing Franklin Hoke, who did not seek re-election after serving on the board since 2007. Also sworn in Monday were three incumbent board members who were re-elected in November: Richard Frerichs, Johnna Friedman and Christopher Straub. They all will serve four-year terms. 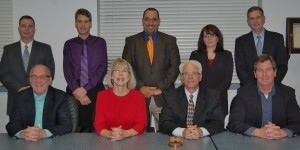 Pictured are members of the board (front row, from left) Rich Frerichs, Donna Wert, J. Kenneth Long, Carlton Rintz, (back row, from left) Kirk Schlotzhauer, David Paitsel, Joseph Fullerton, Johnna Friedman and Christopher Straub.